Vinyl is an incredible material. Versatile and flexible, we use it throughout our work in many different applications. It can be incorporated into a range of signs, or simply used as a standalone material. We love it! Take a look around you the next time you’re out and about. You’ll see vinyl graphics everywhere! Affordable and versatile, it’s a powerful material that is ideal for promotions, events, and all your graphic needs. Call us now on (412) 365-4699 to arrange your Free Consultation with a Vinyl Graphics Specialist! Vinyl sign banners are an effective way of promoting your business in a variety of scenarios. 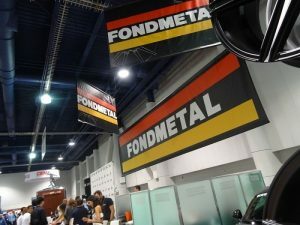 From trade shows and events, to permanent storefront promotions, they’re our most popular product. 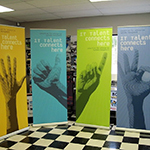 Excel Signworks offers a wide range of banner products, including retractable & pop-up banners, large format indoor banners, durable, weather-resistant outdoor banners, banners with grommets, and any other type of banner you may need to promote your business, products, or event. 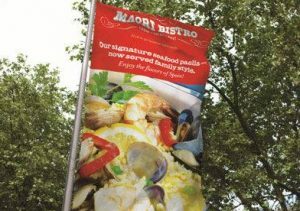 Both on and off-site, a well-designed, custom vinyl banner is a real asset to your business. Vinyl is an excellent material for use on glass. 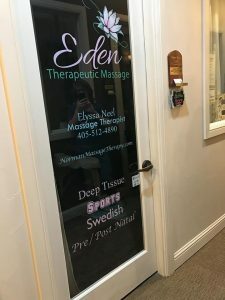 From storefront promotions to stylish door lettering, window vinyl clings are our most affordable and versatile sign options. 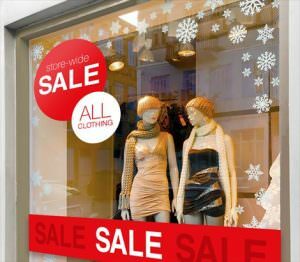 We can provide easy to remove vinyl signs and graphics that are ideal for temporary displays, such as seasonal changes or special events. When properly stored, these can be reused with ease. 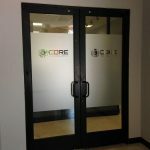 Our vinyl window clings are also excellent for creating privacy. Privacy window film can be used to add a frosted or etched finish to your windows or doors. Available in a large variety of vinyl styles, patterns, and textures with the option to customize with your logo or branding, they’re a fantastic choice for open plan offices, restaurants, or any other business wishing to provide privacy and natural light to their patrons. Cut vinyl lettering can be used for many purposes, in just about any business. We offer a stylish method for those looking to display opening hours and other business details on their front door. 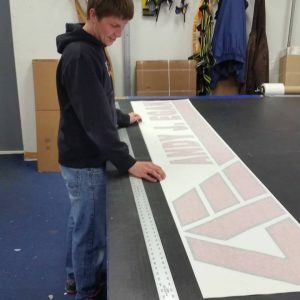 Cut vinyl is also a popular choice for adding DOT and registration information to semi trucks, boats, and corporate vehicles, or can be used throughout your business on walls, floors, or anywhere you need to share information. Our vinyl lettering is affordable and easy to apply. We can also provide professional installation to ensure everything is lined up properly and free of wrinkles and bubbles. 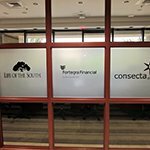 Cut vinyl letters often replace mass-produced or even homemade signage for a business that is growing, lending them the professionalism they need for clients to recognize you as a professional and trustworthy partner. Custom vinyl signs are a great way of attracting customers to your business. The next step is to put them at ease. 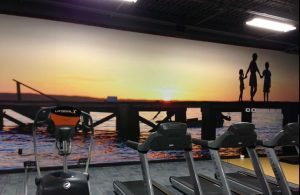 Vinyl wall murals and floor graphics are a fantastic way of doing this. Attractive murals decorating lobbies, restaurants, hallways, and any other large flat surface are an instant talking point. 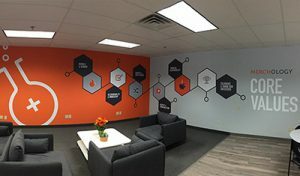 They can tell the story of your company, promote your products and services, or simply make your employees feel more at home in the break area. 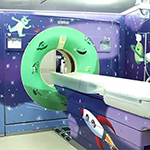 We utilize a durable material for all our wall and floor graphics. 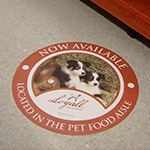 Floor vinyl can be applied to a variety of surfaces, including concrete, wood, tile, and even some carpets. Tough and resistant to traffic, dirt, and cleaning, they will stand the test of time. 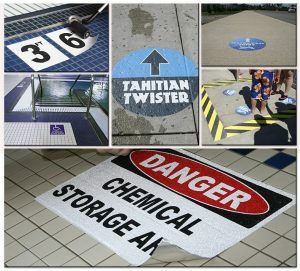 Our vinyl floor graphics are also an excellent method of creating wayfinding signs. Used in this way, your brand stands out as forward thinking and exciting. Here at Excel Signworks we’re more than happy to assist in the design process. 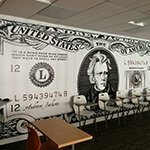 If you’re not sure what type of creative mural or floor graphics you’d like, allow our expert team to make a few suggestions! Here at Excel Signworks, we invite you to join us at our vinyl sign company for a free consultation. Together we’ll go over the various options available to you. Based on your needs, we’re happy to make suggestions that work for your business. Most importantly, you’ll get a chance to see and feel what we have to offer. We also provide complete indoor sign and outdoor sign services, allowing us to be your one-stop Pittsburgh sign shop. Excel Signworks is a full-service vinyl sign company. That means all you have to do is tell us what you want, and we make it happen. So, if you’re looking for a vinyl sign business that means business, visit Excel Signworks. First, join us for a free consultation at our Pittsburgh based sign shop. We’ll discuss your business and your needs. When we have a good idea of what you’re looking for, we’ll go through the various options open to you. Next, our design team will go over your file and create the perfect sign or graphics for you. They’ll incorporate any information and branding you require. Upon completion, we’ll send you a digital mock-up for your review and edits, adjusting the design until you’re happy. 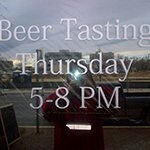 We’ll then manufacture your custom vinyl sign(s) or graphics. Finally, our expert installation team will come and install your product, if needed or desired. Some vinyl is easy enough to place yourself, whereas other options require a professional. No matter what you’re looking for, Excel Signworks is your one-stop shop for all your vinyl needs. 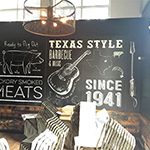 From cut lettering to wall murals, we have an attractive and durable solution for you. And the best news? It won’t break the bank! We look forward to becoming your Pittsburgh signage partner, for all your current and future business sign needs. Call Excel Signworks today at (412) 365-4699 for a Free Consultation with a Vinyl Expert!